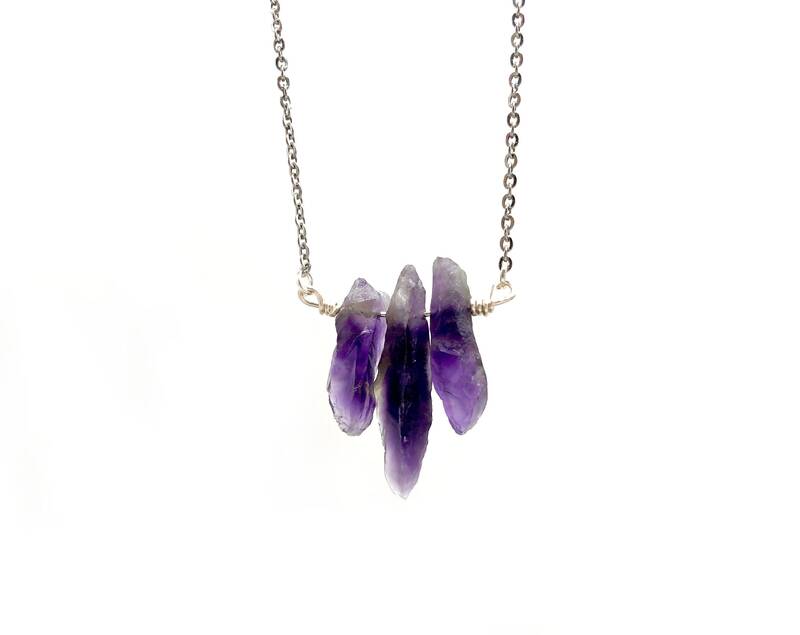 Each necklace is special due to the raw nature of the amethyst stones. Lead and nickel free. 14 inches long with 5 inch soldered extender chain.